AlleyWatch – Hearing the phrase “Call customer service” evokes feelings of dread because there is nothing worse than being on hold for over an hour and hearing that annoying, waiting music on repeat. So that’s why Kustomer has created a modern CRM platform that focuses directly on the customer. Customer service agentson the platform use real-time omnichannel capabilities to deliver tailored and pleasant experiences for the customer. The platform also speeds up customer service as agents have access to a timeline of the customer’s past interactions, enabling agents to directly address the problem rather than asking repetitive questions. 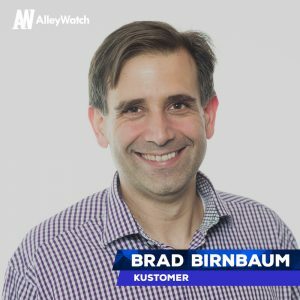 AlleyWatch spoke with CEO and founder Brad Birnbaum on its latest round of funding, which brings the total amount to $38.5M over three rounds. Kustomer has raised $26M in our Series B financing round. The series was led by Redpoint Ventures with participation from Series A investors Canaan Partners, Boldstart Ventures, and Social Leverage. Cisco Investments also joined as a new strategic investor. Tell us about Kustomer’s service. Kustomer is a modern, intelligent CRM platform for customer experience, service, and support. The platform enables service organizations to know everything about every customer. Kustomer empowers agents with real-time omnichannel capabilities, and delivers personalized, memorable experiences at scale by integrating all business data and automating intelligent workflows, resulting in higher lifetime value. What inspired you to start Kustomer? Unfortunately, we have all experienced bad customer service. We saw there was a real need for a modern CRM platform that focuses on the customer, rather than a support ticket, in order to eliminate these negative experiences. We created Kustomer as a CRM platform to provide a modern alternative to outdated ticketing systems, that don’t focus on the customer. Our CRM Platform for CX is built to enable all relevant customer data to be ideally shown and used, contextually, by every customer-facing agent or rep, in a modern timeline view. Most CRM platforms offer outdated and often siloed solutions that treat the customer as a ticket to be ordered in line and assigned randomly to the next available agent. These platforms are not very user-friendly for the agents, and there is no information provided about the customer or their past interactions with the brand. For customers, conversing with customer service is still considered a bad thing – and the idea of going through the hassle of talking, chatting, or emailing an agent to explain why you are contacting them, what you would like, and all the relevant background story evokes dread for most. The Kustomer platform is different because it treats the customer as an individual, not as a ticket. The platform allows customer service agents to harness omnichannel capabilities to continue conversations with customers via any channel be it, email, text, phone, etc. The platform also offers agents a timeline of any given customer’s past interactions with the brand, so agents are well informed at the onset of the interaction and do not need to waste time asking repetitive questions. With Kustomer’s latest round of funding, we will be offering our platform to companies who want to focus on their customers. The platform encourages repeat business and lifetime value by integrating business data, enabling real-time omnichannel, providing personalized, and memorable service experiences. We operated within the CRM and customer service solutions market. The market is quite large, sitting at over $80B today. We operated under the SaaS model, selling our easily on-boarded platform to brands who wish to streamline their customer service capabilities. Does Salesforce’s discontinuation of Desk present an opportunity for you? Yes, but our market is much more than Desk.com as a SMB focused product; our market includes larger companies as well. We welcome the remaining Desk.com customers to take a look at Kustomer and see how a true platform can improve their productivity and CSAT scores. It was actually a lot of fun. I enjoyed meeting with VCs and telling the Kustomer story. There was a lot of interest in Kustomer due to our rapid growth, amazing customers, and large TAM. Once the process got started it moved quickly. Our traction has proved to investors that we have created the most modern and intelligent way for brands to address customers in the ways they want to be connected with and deserve to be treated. They have realized that this market is ready for disruption. In the next six months, we plan to invest in the company and our growth. We are looking to expand internationally and increase our sales and marketing teams. New York has an amazing tech scene and talent pool. I would hunker down, stay focused on your plan and execute, execute, execute. In the short term, we are looking to expand to provide solutions to more and more companies, both B2C and B2B. Our goal is to allow every company to be able to know everything about every customer so that their agents, marketers, and GMs can provide memorable experiences. For breakfast, hands down it’s Sarabeth’s. I love to hold morning meetings there.